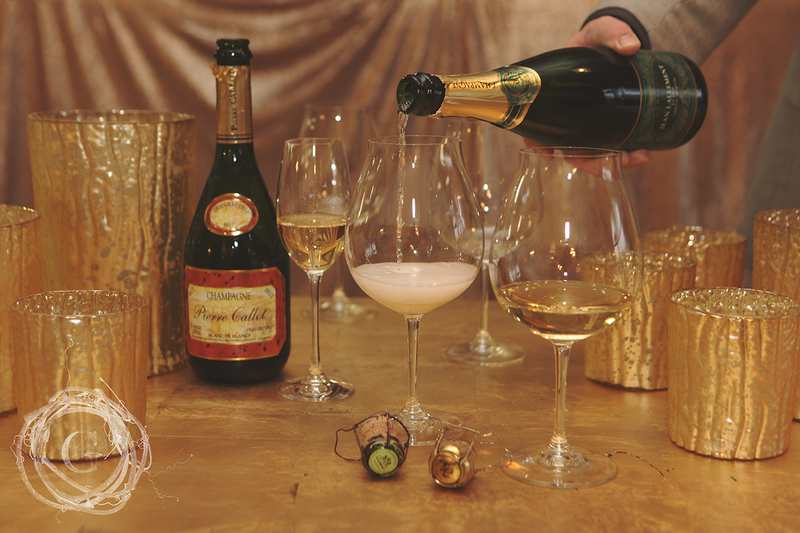 It is the Champagne equivalent of Farm to Table. Opening a bottle of Champagne feels magical. It’s bubbly, explosive, rare and unique. It is selective by nature and turns ordinary get togethers, into something special. Knowing more about its history, its process, the people and land that produce it, allows a deeper and richer appreciation for the experience of drinking it. It is rich in history, and holds an extensive farm to drinking process making it a celebration every time you open a bottle. While sitting in the luxury french decor of Rudy’s Event Rentals in St. Paul, my understanding of this sparkling wine changed forever. I am so thankful for the knowledge and conversation with Jason Kallsen, of The Wine Company, who spent time educating Gatherhaus on the misunderstandings of this beautifully crafted and agricultural product. Champagne, simply understood, comes from Champagne France. Located 80 miles east of Paris, it is an easy day trip by train. Its name is derived from the region, while all bubblies outside of Champagne are simply known as sparkling wine. What is less well known is that there is a world of smaller farms producing high quality champagnes, also known as Grower Champagne. Grower Champagne helps support small farmers and gives you a hand in participating in high quality control. It allows you to purchase more rare and unique flavors often for the same price as the big brands. For our interview we were able to sample Pierre Callot, a Blanc de Blancs (meaning 100% Chardonnay) which is only offered in two restaurants in New York, a handful in San Francisco and here in the Twin Cities. Knowing it’s rare in production and supports a small family business added to the beauty of the experience. Spending time with the Jason from the Wine Company, it was quickly apparent that we share such a strong similar mindset. One of quality over quantity. Support of local and small farmers and artists. We also believe that you get what you pay for. We have watched the tides turn as we move away from the industrial revolution into a culture that strongly supports the arts movement. We long to know where our food and drink comes from. We want more than just fast food, we want our money and time spent to support families we know and people doing something great that stands against consumerism just for consumerism’s sake. Our culture is moving towards wanting what we do and how we spend our money to mean something. 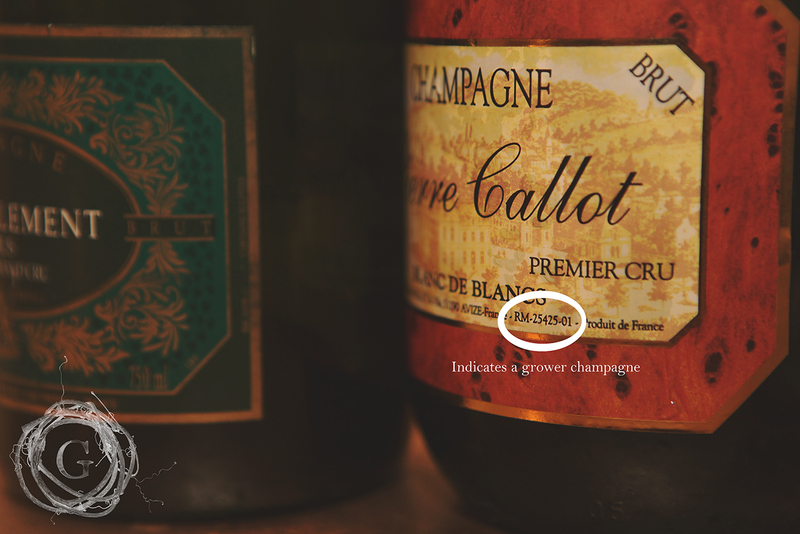 Grower Champagne is the ideal for all those principles and ideals to come together. Champagne is all about a house style based on what the land provides for you. The focus is on the farm, and not the factory. As you move away from Christmas and head into your New Year preparations, here are some things we learned from Jason about our misunderstandings around champagne. When you have a little bit of extra time, I highly encourage you to head to their website and read up on the history of champagne and the process in how its made. It is truly fascinating. You realize what you have missed out on and you undoubtedly won’t want to wait till the next wedding to bring out the sparkly bottle! Champagne should best be enjoyed from a wide mouth large wine glass (typically a red glass), NOT a tall champagne flute. 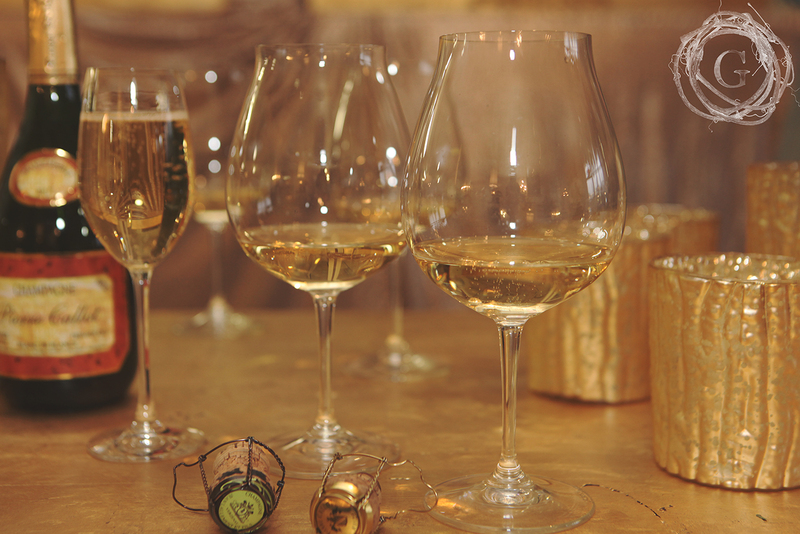 The larger glass allows the champagne to hit your whole mouth and not just rest on your tongue. This allows the robust flavor of the champagne to be fully enjoyed. Champagne should not be served freezer cold as it traditionally is. Super cold temperature along with the flute often hides faults in big brand wines. Make sure your Champagne is chilled, just not freezer cold. To support small farms by purchasing Grower Champagne, look closely at the front label. There will be two small letters symbolizing Grower or large scale companies. RM is a grower brand. NM can typically be larger companies, but NM means they buy their grapes from land they do not own. Champagne is one of the most acidic types of wine out there. This makes it the perfect pairing for food that is rich in style. The acidity of this sparkling wine cleans your palate more than any others. Make sure to not wait till after dinner to serve it, but offer it to your guests along with a meal. It was a moment of serendipity meeting Jason on a cold December afternoon. He opened our eyes to an issue I didn’t even realize was there. I am so thankful for the knowledge he passed on to us about another way to support local farmers and family businesses. I am also now a firm believer in offering champagne outside of special occasions. The Wine Company made me a believer. I highly recommend visiting their website to dive into all the details and history and richness of the process of creating champagne. Make sure to pick up a bottle of Grower Champagne to ring in the New Year and another one for weekend.